The Dutch violinist has captivated international audiences, bringing the glamour of the Viennese ballroom to millions across the world. But how much do you really know about André Rieu, King of the Waltz? 1. Who is André Rieu's wife? He never listens to music to relax – he’d much rather sleep, because he spends so much time listening to music as part of his job. 3. 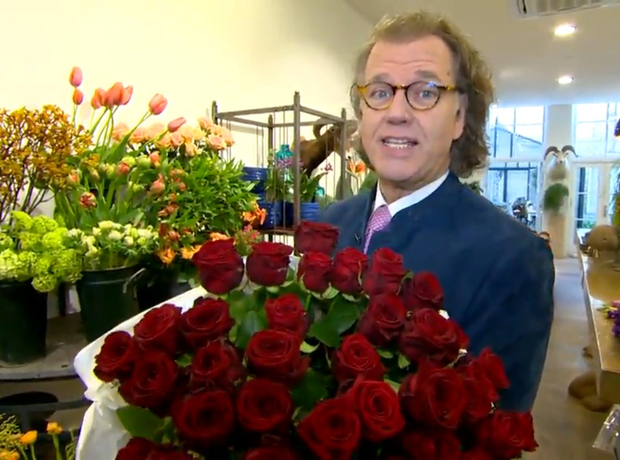 What is André Rieu's net worth? André Rieu currently has a net worth of $40 million dollars. However, he previously admitted that the lavish £24 million fairy tale castle he designed for his 2008 concert in Schönbrunn, Vienna, left him bankrupt. André Rieu will be embarking on a major UK and Ireland tour this December, starting in Belfast on 6 December. Tickets are available via his website. 5. André Rieu at the North Pole? He’d like to play a concert at the North Pole to publicise the effects of global warming. Despite not earning any money from the concert, he’s keen to expose the magic of the waltz to the local polar bears. “I love bears,” he said, “and I think when they hear the Danube the polar bears will dance." If the North Pole concert can't go ahead, Rieu has set his sights on an even more ambitious project. He’d like Richard Branson to build a concert hall on the moon, so people will one day be able to waltz in space. As a boy, Rieu wanted to be a Catholic priest. Despite no longer being Catholic, he feels the kind nature of a priest enables him to communicate with his audience. André continues to inspire fans across the world with his unique waltz performances – including one balloon artist who presented the star with a balloon sculpture of himself on a recent tour! Since he started performing on stage more than 30 years ago until 2016, André never got ill. He even went to the doctor because he was so concerned, but the doctor allegedly said: “Mr Rieu, you are a miracle. Your heart beats in ¾ time.” No wonder he is so good at waltzing. After visiting a castle in Maastricht for his childhood piano lessons, André Rieu dreamed that one day he would fill it with chandeliers and paintings, and live in it. That dream is now a reality, and the star holds his interviews and receives his guests at the Castle 'de Torentjes’, but also has a private haven with his wife, Marjorie. André likes to communicate with his international fans. He can speak six different languages including Dutch, English, German, French, Italian and Spanish. André started playing the violin at the age of five, and plays a 1667 Stradivarius violin. André clearly has a sense of humour. He once made a cameo appearance as himself on Ramsay Street in the long-running Australian soap opera Neighbours.